Ooh, Look - Craft: It’s GORGEOUS!! 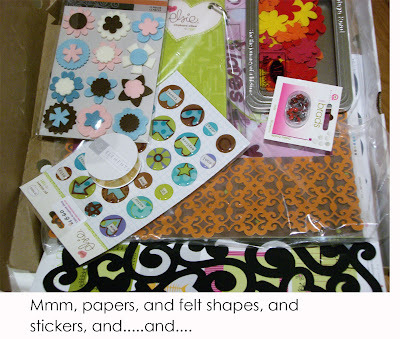 You should have heard the squeals of delight when my colleague Mandy and I took delivery of an order of scrapbooking supplies at work this week. Poor Jon, who sits between us, commented that he had never heard the word ‘gorgeous’ used so many times.